Successful realtors are master marketers. They have to be if they want to stand out in a very crowded marketplace. Today, real estate marketing requires many activities including internet marketing, email marketing, postcard and newsletter mailings, local advertising, promoting client referrals, door to door inquiries, and open houses to name just a few. Professionally-designed print collateral is a must have, but can be costly and take hours to create. One affordable option is to do it yourself with the help of creative design templates. 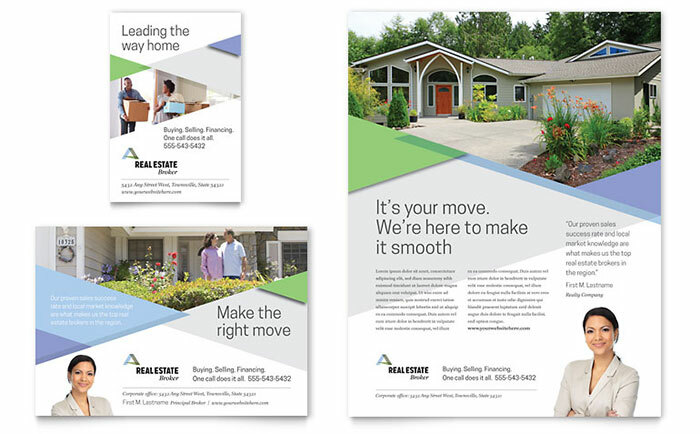 This complete set of DIY marketing templates for realtors includes a brochure, flyer, advertisements, postcard, newsletter, datasheet, business card and letterhead. 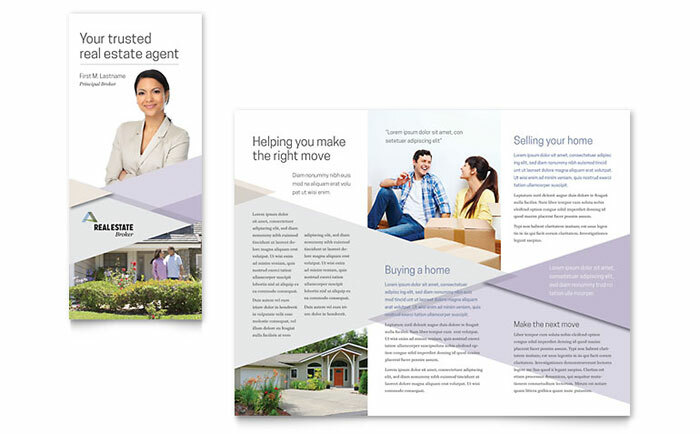 Download editable files from StockLayouts for Adobe InDesign, Illustrator, Microsoft Publisher, Word, or Apple Pages, to create and print custom marketing collateral for your real estate business. 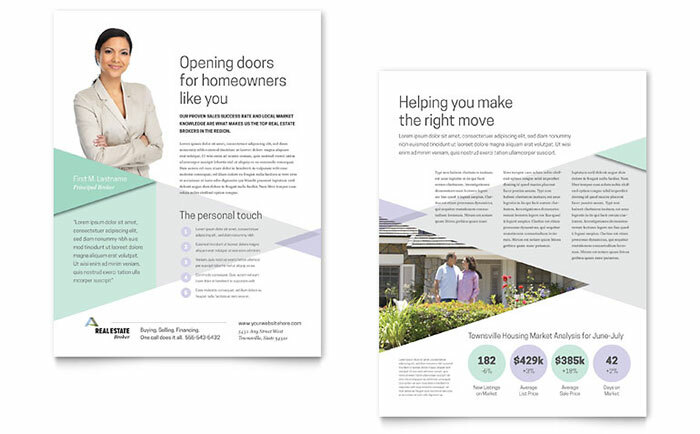 Use this tri-fold brochure template to tell clients who you are and how you can help with buying or selling real estate. 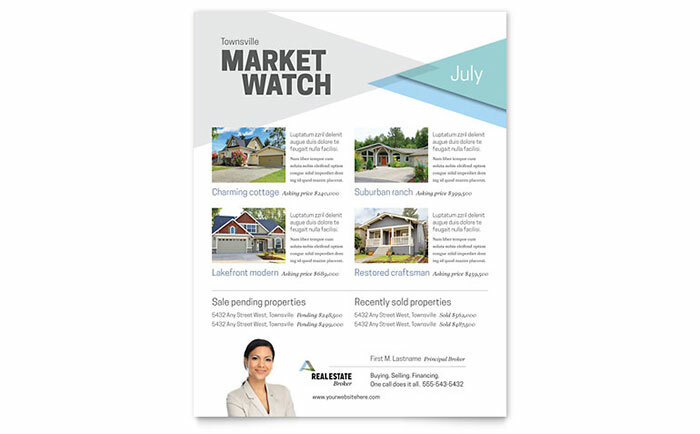 Use this flyer template to promote multiple property listings or recent sales. 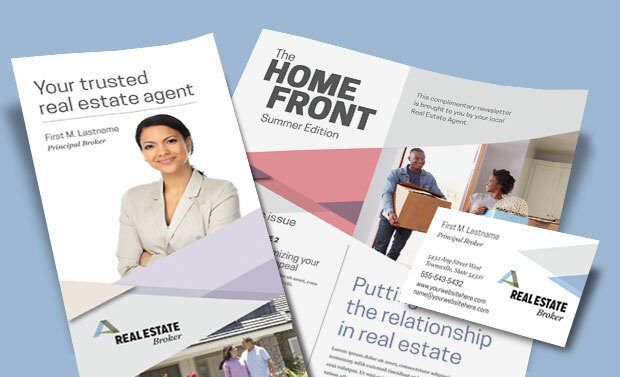 Use these customizable layouts of eye-catching advertisements to promote your real estate business in local publications and circulars. 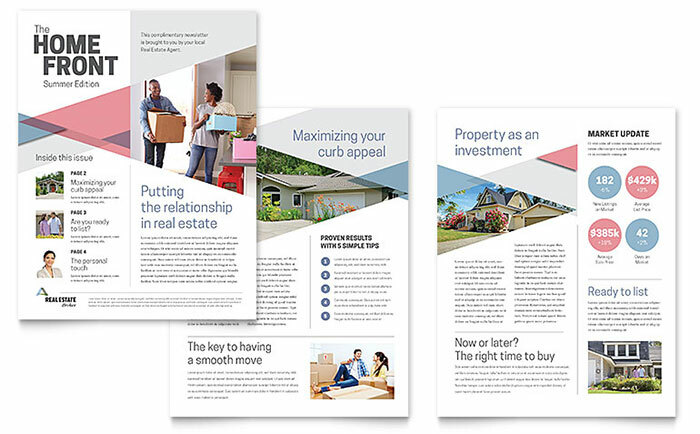 Use this newsletter template to stay in touch with clients and keep them up-to-date on real estate market news. Use this two-sided datasheet as a handout or as an insert in a presentation to detail your unique value proposition. Use these postcards to effectively market your real estate properties and promote awareness of your services through direct mail marketing. 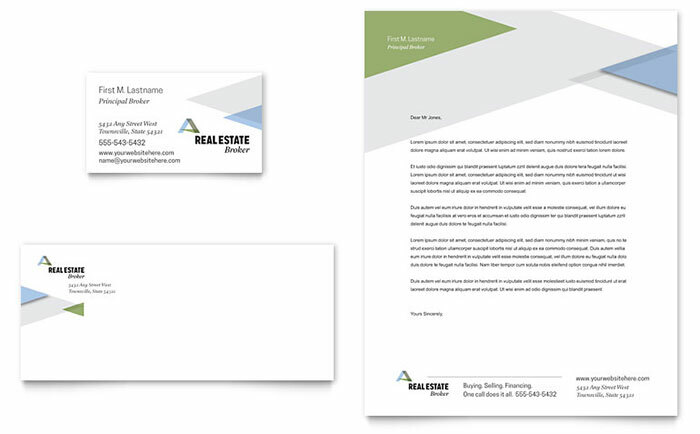 Create your own business card and letterhead and present yourself in style and with confidence. 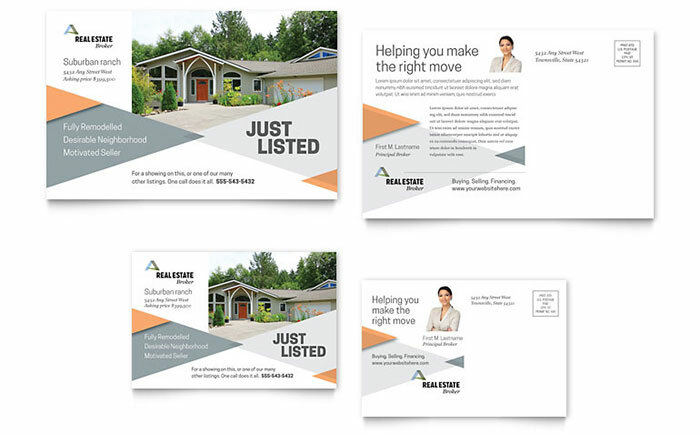 Get affordable real estate flyer templates for Word at LayoutReady. These templates are great but anyone uses canva for brochures/flyers?